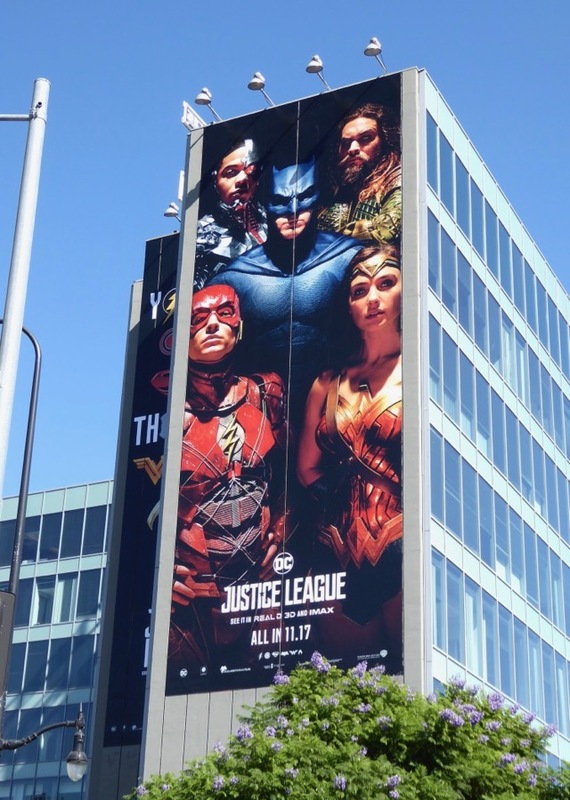 'Cyborg', 'The Flash', 'Wonder Woman', 'Batman' and 'Aquaman', they are DC's cinematic Justice League and this November they'll unite for the first time on the big screen (and don't surprised to see 'Superman' join their ranks too). 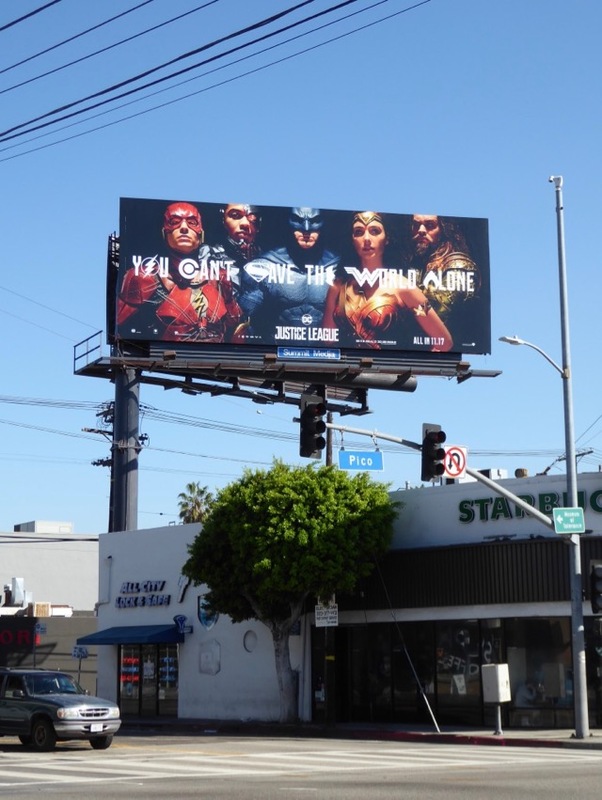 Gal Gadot's Wonder Woman movie is now officially the highest-grossing superhero origin story of all time with over $821.7 million worldwide so that's a good start for this iconic comic book team-up. 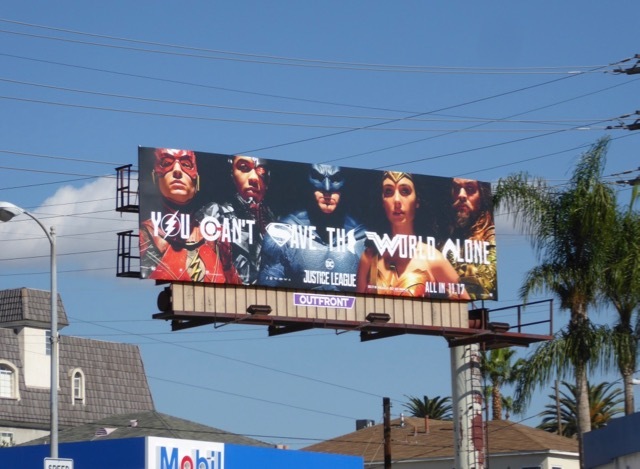 Following the fall of Henry Cavill's Man of Steel, Ben Affleck reprises his role as 'Bruce Wayne/Batman' and together with his newfound ally 'Diana Prince' they work to recruit a team of metahumans to protect the Earth from an assault of epic proportions because they realise they can't save the world alone. 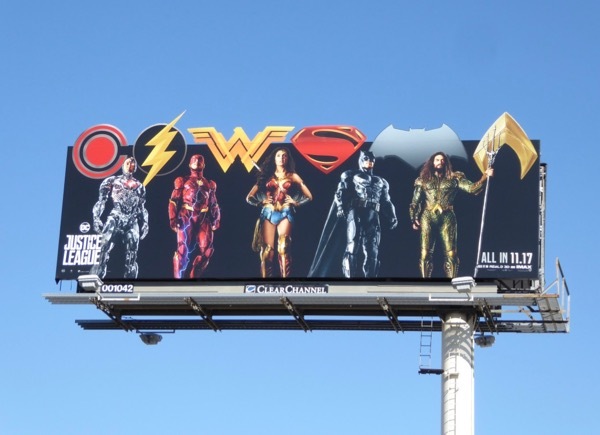 First glimpsed in 2016's Batman v Superman: Dawn of Justice, Game of Thrones Jason Momoa brings 'Arthur Curry/Aquaman' to life, The Perks of Being a Wallflower's Ezra Miller speeds onto the big screen as 'Barry Allen/The Flash' and Ray Fisher is 'Victor Stone/Cyborg'. 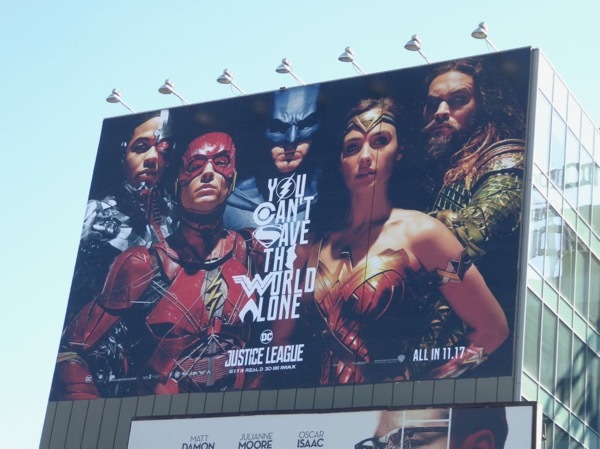 Can a caped crime-fighter, warrior princess, the ruler of Atlantis and Earth's oceans, a speedster and cybernetic superhero unite in time to avert catastrophe? 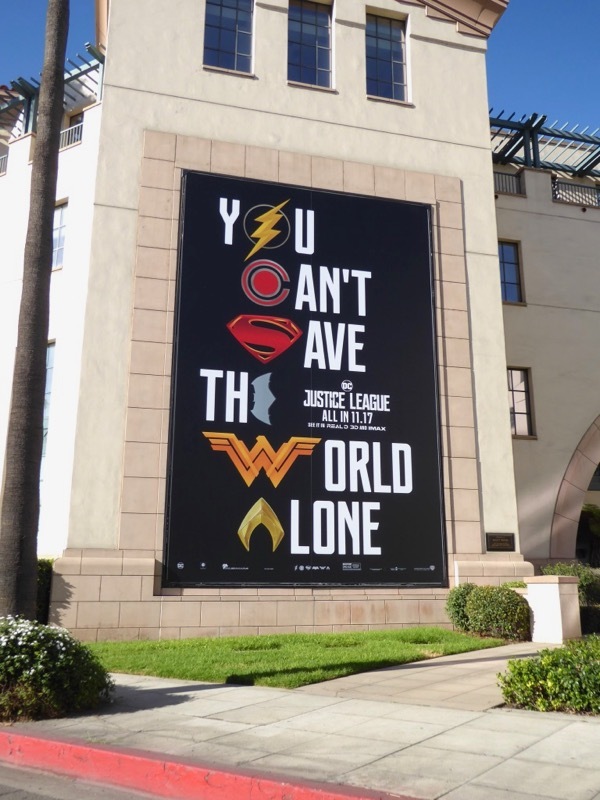 If only they had the help of a certain Son of Krypton. 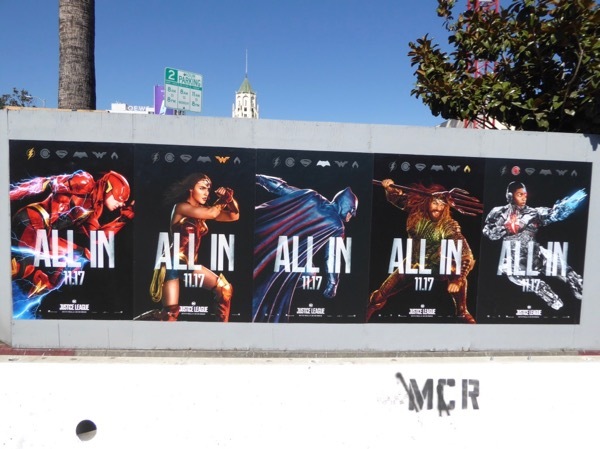 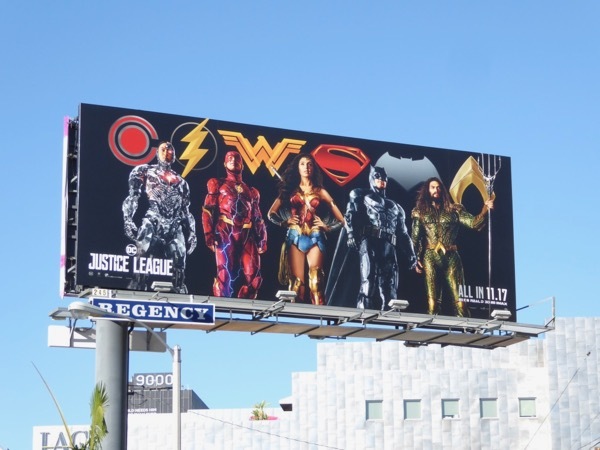 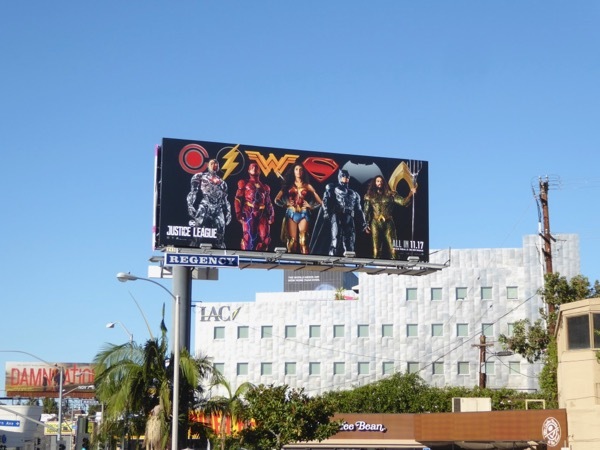 These Justice League movie billboards and street posters were photographed along Sunset Boulevard, Highland Avenue, Pico Boulevard, Westwood Boulevard and Ventura Boulevard from October 20 to November 4, 2017. 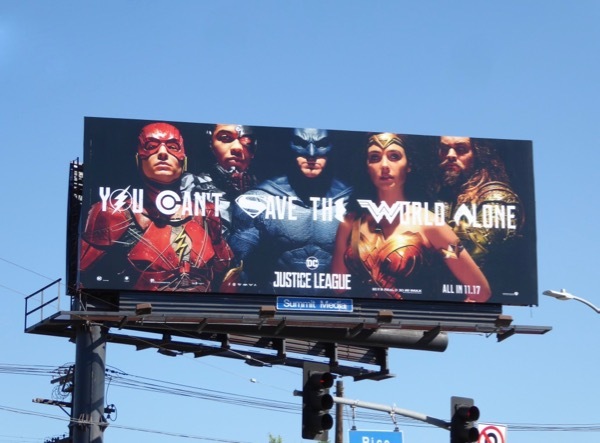 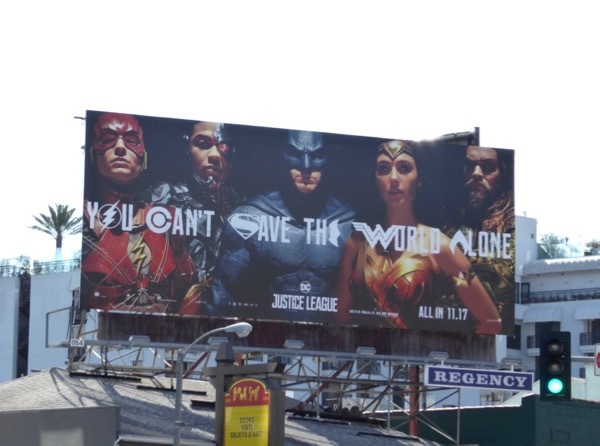 Daily Billboard prefers the 'You can't save the world alone' ad creative which evokes the iconic Alex Ross Kingdom Come comic book cover artwork, as the other versions with all the logos and posed figures look a bit more static and like action figure toy adverts. 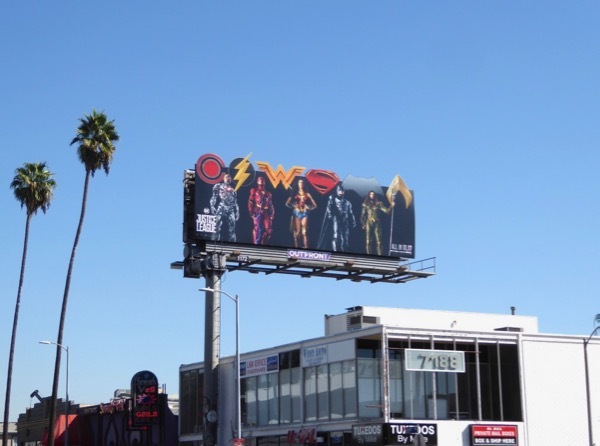 DC superhero fans can also enjoy these Wonder Woman movie billboards, these Batman movie billboards and these Superman movie billboards. 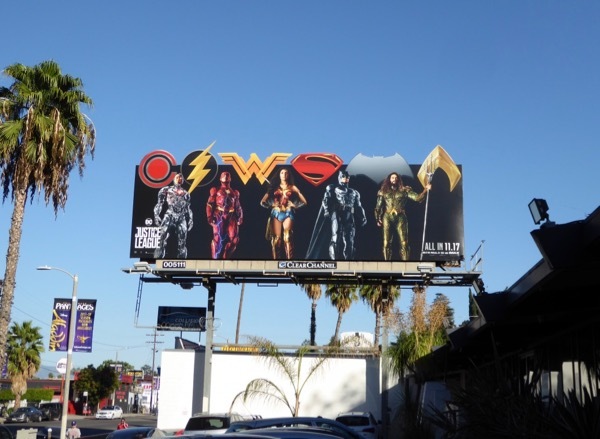 Plus DC Comics aficionados can also enjoy these billboards for The Flash TV series, these Arrow TV billboards and these Supergirl TV billboards. 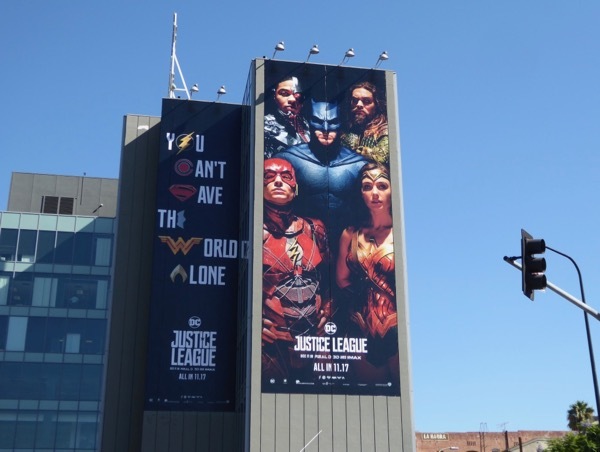 With a few false starts (no one mention Green Lantern) and production setbacks on this tentpole movie, fans will no doubt be ecstatic to see their favourite DC superteam safeguarding the city skyline and exploding onto cinema screens this month to save the day. 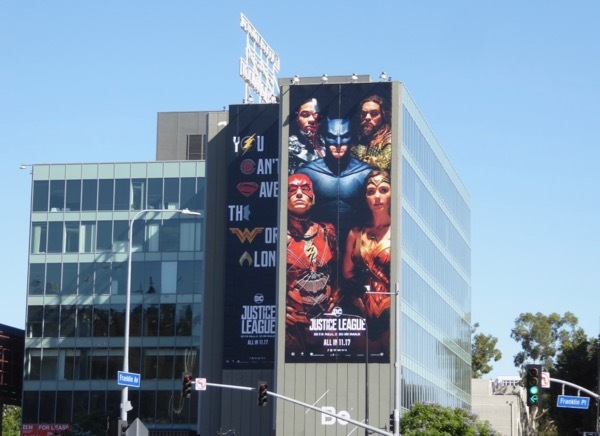 UPDATED: Here's another billboard for the DC film utilising all those logos spotted at Warner Bros. Studios in Burbank on November 19, 2017.